Microsoft’s Website has a number of resources that you should take advantage of as an Microsoft Office user. 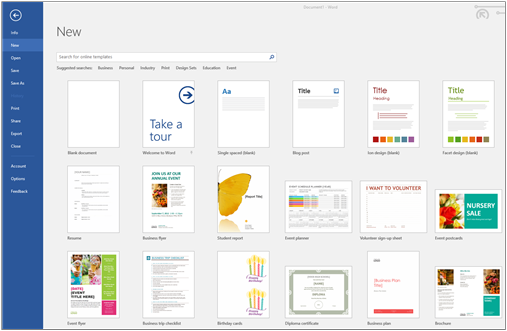 The document gallery is where you can create a blank document or use a pre-designed template. 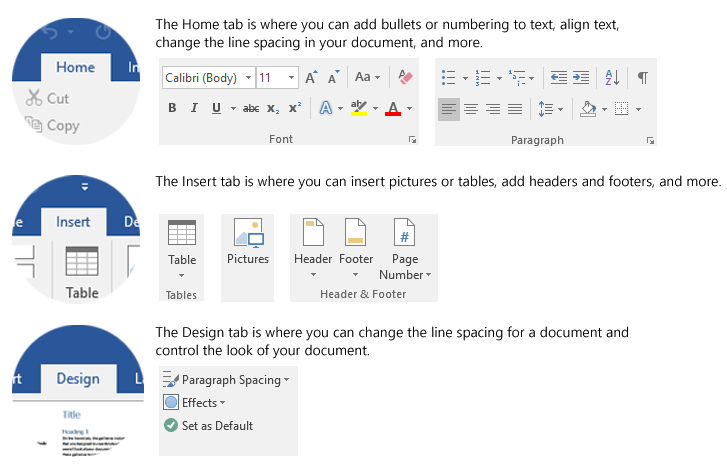 The gallery is available when you open Word, or you can get to it by choosing File > New if you’re working on an existing document. The ribbon options above are used in this Getting Started training course. Tell Me is a new search tool available in Word, PowerPoint, and Excel 2016. It serves up the commands you need when you type what you want to do. For example, type “font settings” in the Tell me what you want to do box. Then, either choose one of the suggestions that comes up, or choose Get Help on “font settings” to open the Help viewer.